When I was a poor college student I used to clean hotel rooms in the summer and I’d also clean homes for family friends. I remember once bringing my own cleaning supplies to a job and the homeowner (a longtime family friend) laughing at me because I cleaned 99% of surfaces with Windex! In my penny pinching times I couldn’t afford numerous cleaners and Windex was the one thing that got most things clean! 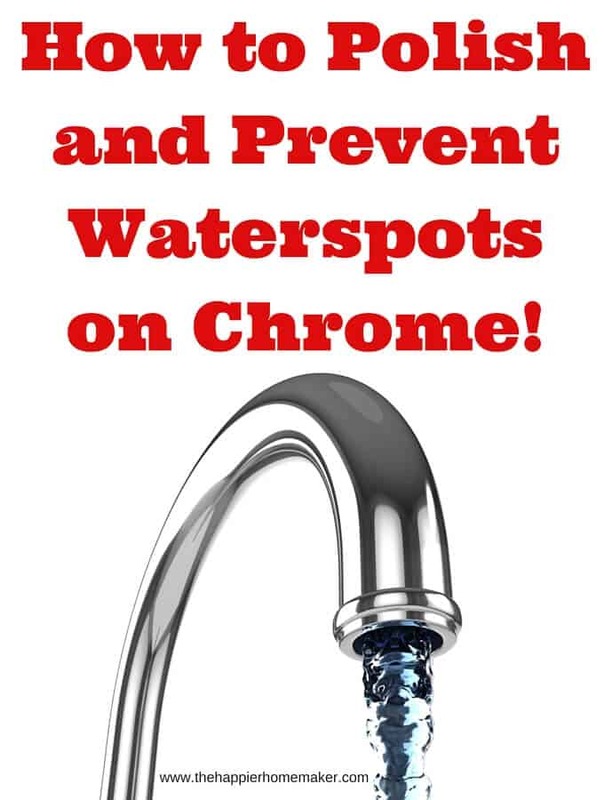 I thought of that recently when cleaning my faucets in the bathroom recently-and it inspired me to share today’s super fast tip on how to polish and prevent water spots on chrome! A few notes: chrome is a soft metal so if you have rust or hard to remove stains DON’T use steel wool or anything like that on it. 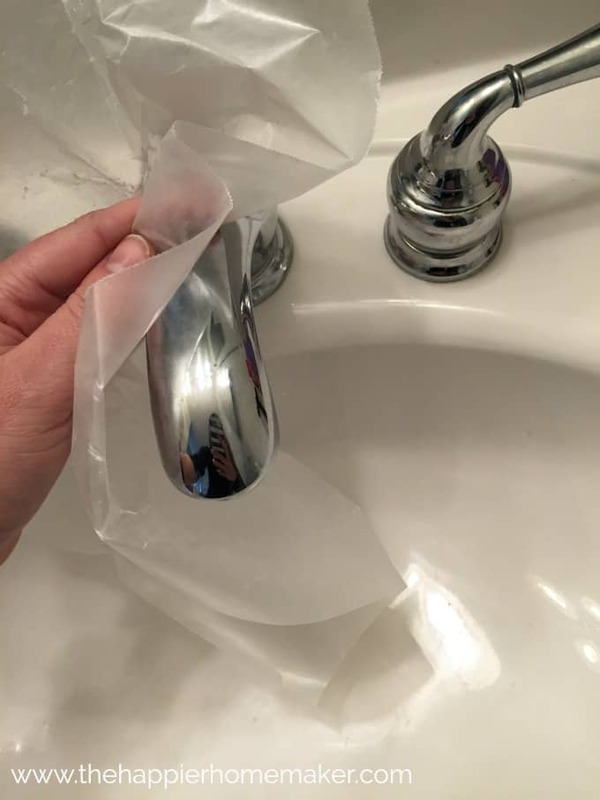 I’ve heard you can use crumpled aluminum foil and it won’t scuff the surface but I haven’t personally tried it yet so I recommend trying it in an inconspicuous place first if you do (and report back to me on the results so I can know for sure!!) 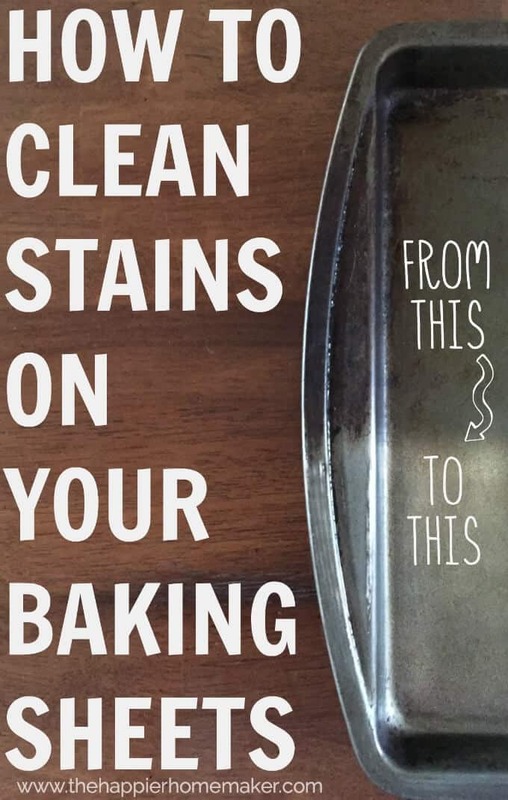 Second, this won’t keep them perfect forever but it definitely DOES extend the lifetime of your cleaning. I know in my house if I skip this step they look pretty gross with icky water spots (and lots of toothpaste!) pretty quickly-especially in my young sons’ bathroom where all three of them are brushing teeth! So there’s your quick tip of the day! Be sure to sign up below or on the side bar to join my mailing list so you can get more tips like this as well as easy recipes and fun, doable DIY ideas! As a special thank you to you for signing up I’ll give you my FREE recipe eBook with easy, delicious desserts that you’ll love and don’t take a ton of time or “fancy-schmancy” ingredients! 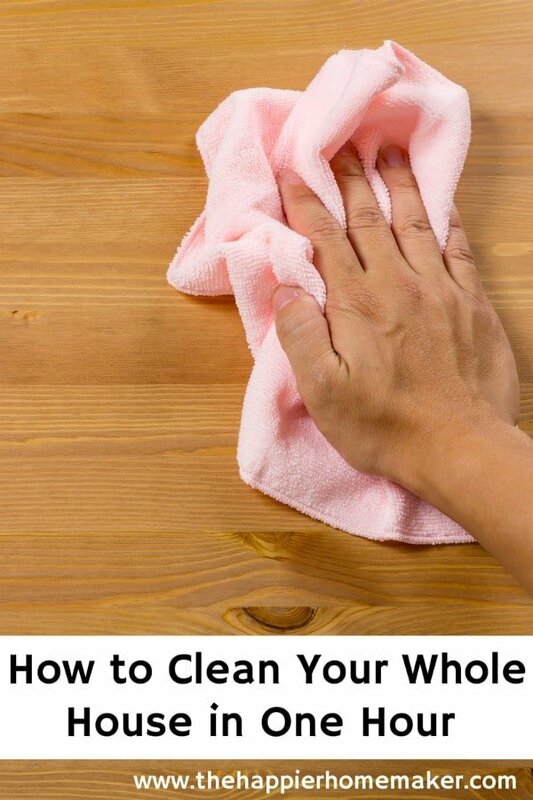 How to Clean Your Whole House in ONE Hour! i’ve been cleaning houses for almost 27 yrs. 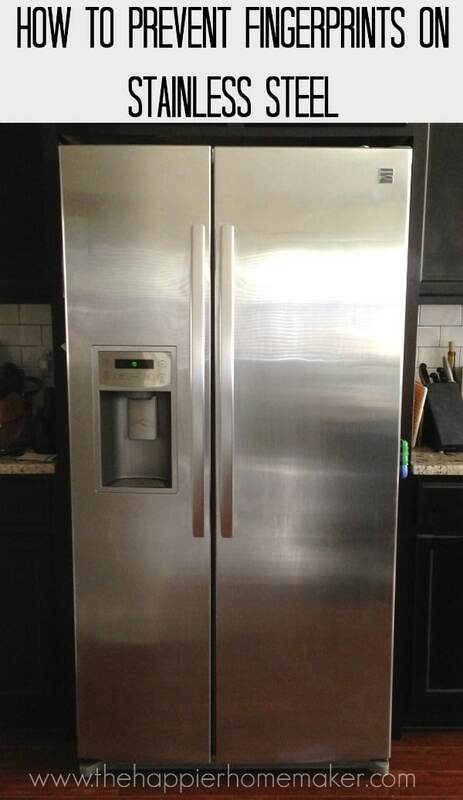 now and i still use windex (NOT the generic stuff) to make chrome and porcelain sparkle. i use wax paper on shower curtain rods to help shower rings slide on it but have never thought to use it on the bathroom fixtures. great tip, thanx! AWESOME tip Michelle! I’ll need to add that to the post-I’ve never heard of tried that one!! In most cases it would just be better if people hired professional cleaners. It’s better and faster and it is actually cheaper when you compare the price to your personal hourly payment. Awesome tip. 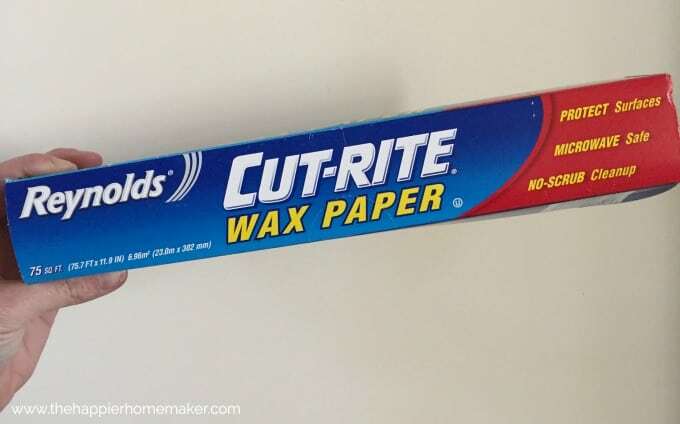 Would the wax paper also work for Brushed Nickel finish?